It has been a while since I bought new make-up.... I know hard to believe isn't it! But since moving away from the retail world and into office land I've found it a lot easier to avoid those new releases and offers.... mainly because I'm no longer the one putting them out and seeing them first! 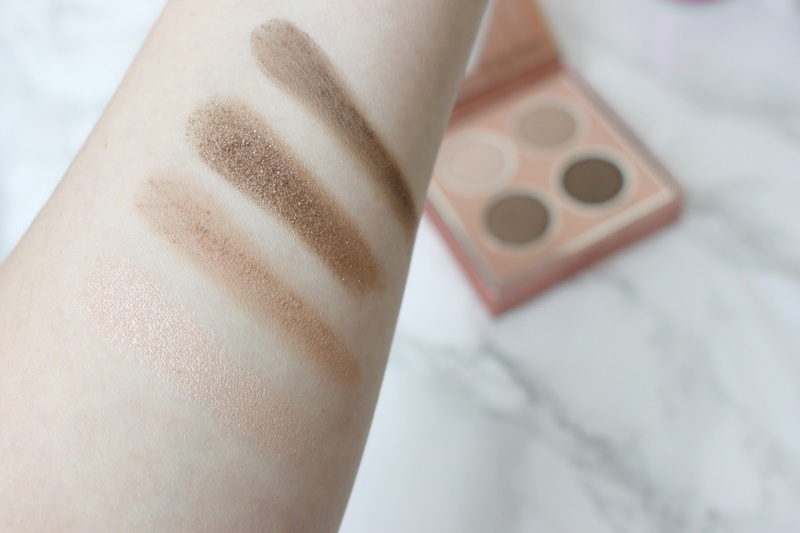 Nevertheless there's always going to be something that catches my eye and this month it just happened to be a couple of bits from the new Tanya Burr range. Now, I hadn't actually tried anything from Tanya Burr before, this was a first, but I've heard good things and when this new collection was released Feel Unique had put them on offer (I'm not sure if this was a mistake or not) - so I got them for a bargain prize! 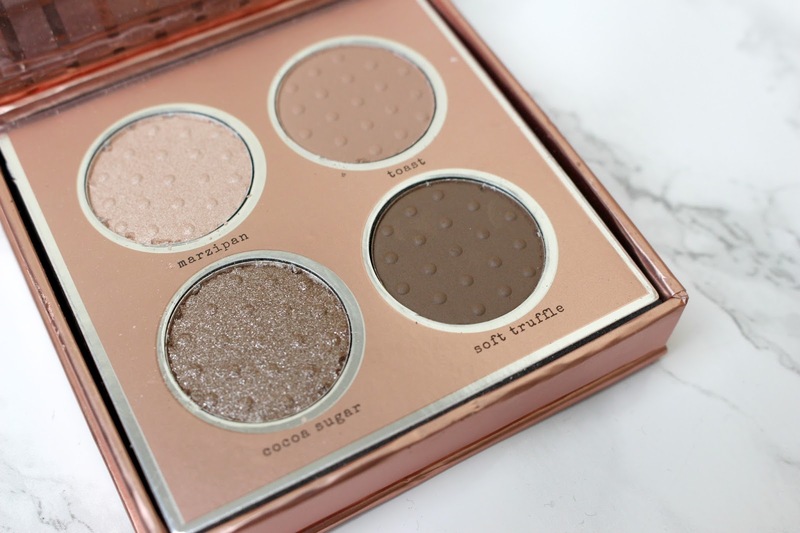 I ordered 2 products from the new Soft Luxe Collection and first up, I'm going to talk about the Birthday Suit Eyeshadow Palette. I'm a sucker for nudes and neutrals - so this palette was a no-brainer! In gorgeous rose gold packaging this eyeshadow quad is the perfect palette for creating both a soft and a smokey eye, day - to - night sorted! I'm LOVING Marzipan for my brow bone and inner corner right now, such a pretty pearly shade! For £6 you can't really go wrong - great for taking away and if you're looking for an easy palette for everyday use, this is a steal! Cocoa Sugar is such a lovely shade. Her whole new range looks gorgeous! Love the look of this palette the colours are just what I'd go for usually, great price too! looks like a great option for travel, small and compact yet with the perfect neutral shades you need!